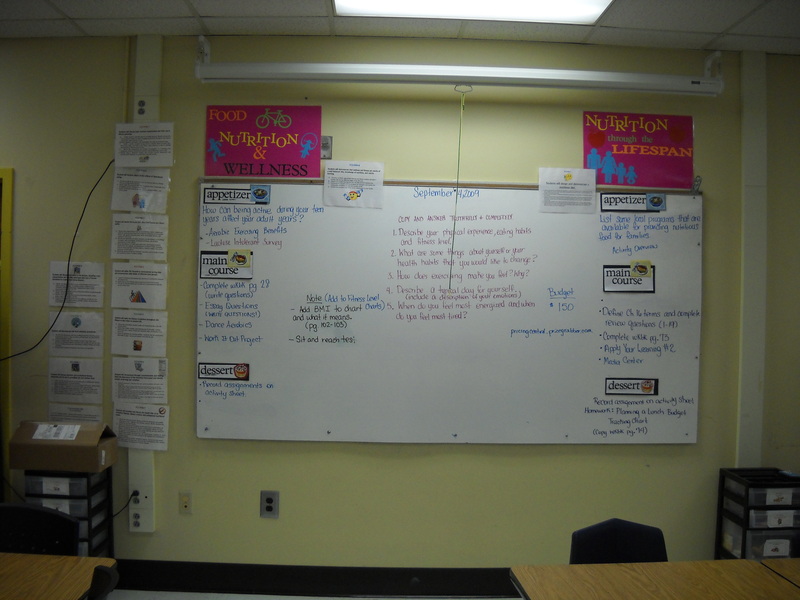 FACS teachers are known for using a wide variety of materials to enhance their lessons. As stated in a previous article, when requiring students to use other materials to complete assignments, you want to make sure that these materials are readily available. 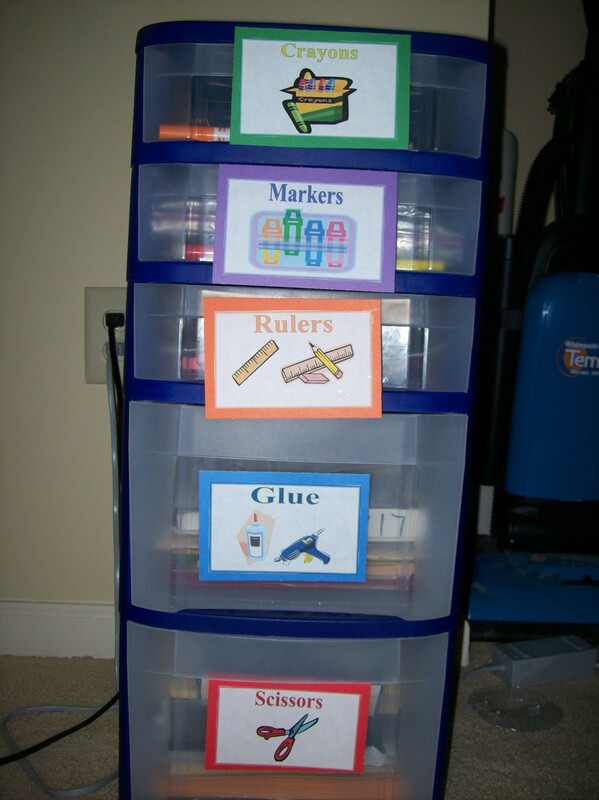 Of course, these materials need to be visible yet organized. A good idea is to set this up as a student supply center in itself and place a stapler and tape over there as well. This keeps the students off your desk and/or having to interrupt you to get permission to use your equipment. Another good tip is with all systems, they must be worked in order to prove useful. So, encourage your students that if they take it out, they must put it back and in its correct place. You may want to remind them that if it is not kept organized that you will remove it and they may have to provide their own supplies. You should have seen the students’ eyes and excitement when I was explaining to them that we would be having appetizers, main courses and desserts every day. It was so entertaining!!!! My standards were displayed in the following manner. A good idea for displaying your standards is to type one standard per page and enlarge the font so that they can be read from far away. I put a small illustration on it (for color) and laminated them. I then added Velcro to the backs of them all and attached them to the wall around my board. I placed one Velcro sticker on my board configuration and this is where I would display the standard that was being covered for that day or week.